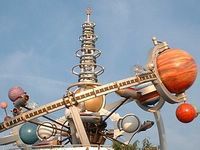 Retro-futurism and space exploration on Charles G's Blog Space: China and NASA working together? China and NASA working together? A story on the New Scientist website says that NASA is looking into the possiblities of cooperating with the Chinese space program. NASA boss Michael Griffin is planning to visit China later this year. NASA wants to go back to the moon. China wants to go to the moon. Here I have a home business network marketing site/blog. It successfully covers home business network marketing related stuff and almost everything else!